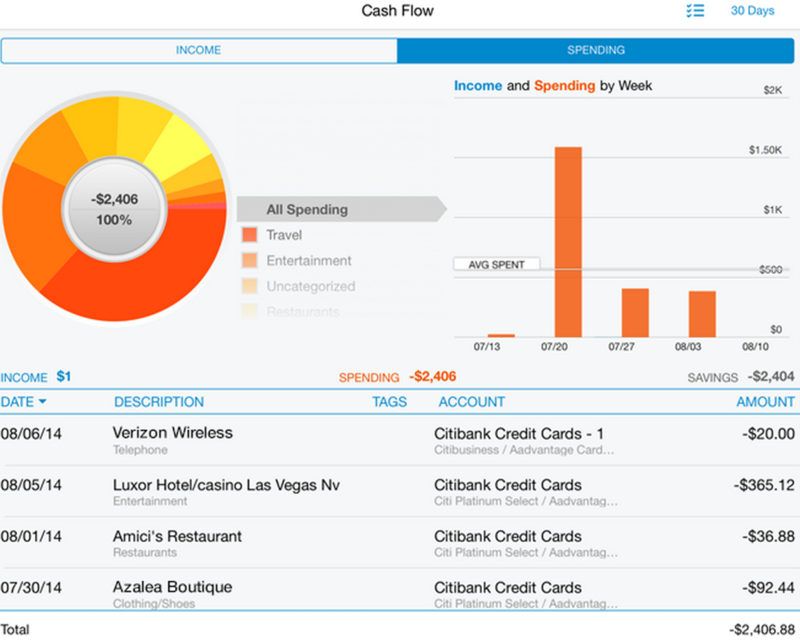 Home > Budgeting > Personal Capital Review: Manage Your Finances For Free! Personal Capital Review: Manage Your Finances For Free! I wrote this Personal Capital review after using the service for the past several years. I have various financial accounts with different companies from bank accounts, credit cards, online brokerage accounts and more. You likely deal with the very same thing. That’s great as you usually can’t take care of all your financial needs at one place but it does cause a problem – staying on top of everything you have going on in each of those accounts. I need something will make my financial life easier to manage. This is where Personal Capital comes into the picture. Before I get any further into my review of Personal Capital, I’ll provide a brief background. Personal Capital was founded by former tech CEO Bill Harris. Most of those within the organization are CFP® (Certified Financial Planner) designated which is a huge plus in my book as that means they’ve gone through fairly rigorous testing and generally can trust they know what they’re talking about. As a result, Personal Capital provides value when you consider using them to manage your investments. While you can electronically connect a wide variety of financial accounts, it’s the investing spectrum where they stand out. As my wife and I have multiple brokerage accounts, this allows us to have one location to view all of our investments which can be a huge time-saver. The great thing is that it’s all for free! With all that out of the way, let’s move on to the rest of the Personal Capital review. You might think it’s impossible that Personal Capital is free. I get that, but it really is free. I’ve used it for two years and not spent a dime on it. That begs the question though of how Personal Capital does make money and that’s a fair question. Personal Capital makes their income through offering full financial advisory services to clients with at least $25,000 in investable assets. If you have at least that amount of investable assets you as a client have the choice of being paired with a financial planner. That financial planner can then help you with any investment needs you have though using that help is not a requirement by any means. The one thing to keep in mind is those fees will be on top of the fees you’d be paying on the investment vehicles themselves, which are usually ETFs. In light of that, you’d be paying roughly 1 percent for Personal Capital to manage your investments for you which is on the competitive end for investment management. The key to remember is you do not have to use this feature and can still use Personal Capital entirely for free. It’s free: I’ve mentioned this several times before but it’s worth repeating. Personal Capital is free to use. You can’t beat free in my book! Portfolio analysis: This is really where the value of Personal Capital comes into play. After you connect your accounts, Personal Capital goes through all of your investments to see how they compare to their benchmarks and locate any lower cost alternatives or ones that have performed better. It’s up to you whether or not you make any changes but is great information to have. I’m a big believer in lowering costs when it comes to investing so I love this feature and it points to their investing principals. You can also use FeeX to do something very similar though they only look at your 401(k) plan. Asset allocation manager: Your asset allocation is vital to stay on top of. Personal Capital offers a free tool that shows how you’re allocated so you can see exactly how your portfolio as a whole is invested. If you have multiple investment accounts this is a great feature. 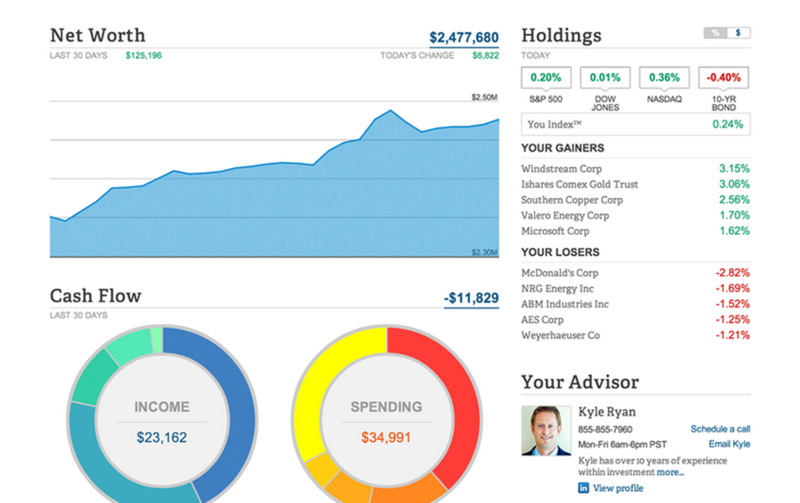 Fee analyzer: This is a takeoff on the portfolio analysis but the Personal Capital platform will go through all of your investments to show you what lower cost alternatives are available to you as a way to make sure more of your money is actually working for you. You can include things like your 401(k) accounts to online brokerage accounts in this. Tax Analysis: No, Personal Capital does not do your taxes for you. However, they do offer various tools to help manage taxes from an investing standpoint. This includes items like tax loss harvesting in order to lower your tax liability. Net worth tracker: This is a feature I really like about Personal Capital. Since the interface allows you to connect things like mortgages and credit cards it has an easy to read page which shows your net worth. You can also set it up to email you this information on a weekly or monthly basis. Reminders: I’ve not used this feature of Personal Capital much but really like the idea. You can use the platform to set up everything from bill payment reminders to the net worth feature I mentioned. Free investment education: Many online brokerages offer this feature and Personal Capital doesn’t fall short in this area. I’ve not used the education features myself, but having looked at them, I can see that they have some solid offerings to help get you started investing. Very easy to use: I know this really isn’t a feature, but it is something I definitely wanted to point out. It took me maybe a total of 10 minutes connecting the accounts I wanted to connect and has been a seamless process using the platform. You can also access your Personal Capital account via your computer, smart phone or tablet which makes it easy to access regardless of your situation. I know that many are concerned about security, especially when it comes to turning over access of your financial accounts to others. I was somewhat concerned about doing so before opening my Personal Capital account. That being said, I’ve experienced no issues since joining Personal Capital. Personal Capital utilizes a two-factor authentication system from the beginning. Not only do they make you verify your password and identify the computer you’re accessing the system from, but they send you a notification if your account information is accessed from another phone or computer. I went through this myself when I bought my new MacBook Pro last year. Personal Capital saw I was using a new computer and sent me a code to access the system. If the security of your information is a concern to you, and it should, consider this – the encryption level used by Personal Capital is military grade 256-bit AES. Suffice it to say, Personal Capital takes your security very seriously. In addition to all that, you can also set up your Personal Capital interface to send you a daily rundown of all your account activity. I’ve done this myself to provide me with a brief snapshot view of my finances each day. In terms of the connection process, it took about 10-15 minutes to connect the accounts I wanted to connect. I did virtually all of my accounts, save for my credit cards and mortgage account. Personal Capital will then attempt to connect to those accounts and verify each of those with you prior to moving forward. I believe if you’re looking for a way to manage your finances all in one spot, especially investments, Personal Capital is a great option to consider. My wife and I are so busy I look for ways to save time and Personal Capital has helped me do that . That alone makes them worth it in my book as I can use the time savings on something else more pressing in life. I believe for many individuals Personal Capital is a great option. As I mentioned earlier, you can’t argue with free. You can use their financial advisor team if you fit in that realm, though it’s certainly not a requirement. Towards that end, if you do sign up for Personal Capital, they will have an advisor reach out to you to see how they can help when you first sign up. I didn’t choose to take the help as I’m fairly comfortable managing our investments and didn’t want to waste either of our time. However, if you’re looking for a free and simple way to manage your investments and get an ongoing portfolio analysis then Personal Capital is worth checking out. Get your free Personal Capital account today! Do you use anything to help you manage all of your finances? How do you stay on top of the fees you incur from investing? Would you ever pay someone to manage your investments for you? 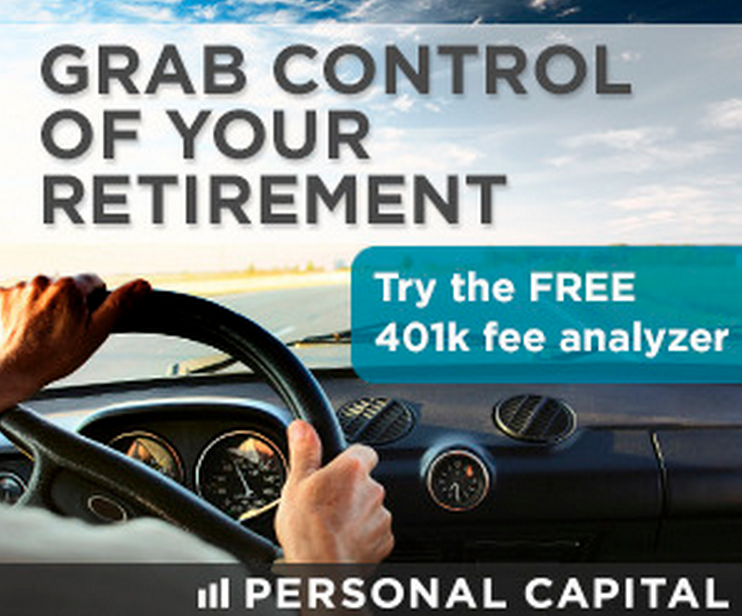 Sign up for your free Personal Capital account today! Summary : If you're looking for an easy way to track your finances, Personal Capital is an easy tool to use! I am so conservative when it comes to my accounts. It seems that this would be a really good service for me and I love that it’s free. After I am completely debt free and looking for ways to make some cash something like this would benefit me. Thank you for the information. I know, you can’t beat it being free. You don’t actually have to wait until your debt free to use it as you can connect virtually any account to Personal Capital and they can help you track your spending plus many other things. Glad to help! The thing I really like about PC is that it works. When I used Mint to link my accounts, I would always have connection issues and failures. It became so frustrating that I stopped using it. Then I found PC and gave it a try. Over a year later, and I never have the connection issues. That’s a great point about Personal Capital Jon. I never used Mint, though can imagine how frustrating that could be. I was sort of surprised actually, but in about 10 or so minutes I was good to go and haven’t had any issues. This is a great review of Personal Capital. I have been hearing about it, but have yet to check them out. I am a big fan, though, of any site that helps you monitor and maintain your asset allocation. To me, that’s the biggest driver of investment success and the one area most investors fail to focus on. Thanks Shannon! I could not agree more, which is part of what drove me to try Personal Capital out myself. What I love is they combine that along with the ability to track your spending/expenses to get a more complete financial picture. I use Personal Kapital myself but only for my investments (meaning I do not use it for any of my personal money management) as I wanted to see how my investments are doing without being affected by other of my accounts. Unfortunately Personal Kapital is oriented for an average Jane and Joe and assumes traditional way of investing – like buying mutual funds, ETFs and maybe stocks “if you are aggressive”. But I consider buying individual stocks as conservative investing! My risk threshold is completely elsewhere and I like trading options and buying stocks as capital preservation. Something others would be fainting to do so. But I like the the web site as it compares my investing and trading accounts to the indexes, so I can see whether I am beating them or not. I use Mint and this is the first time I have heard of Personal Capital. Based on your review, it seems like it’s more helpful and the advantages you laid out here are really awesome. I am amazed with the portfolio analysis and fee analyzer. I am getting my account today. So excited! Thanks John.